Commissioner Judy Lowe would like to share the announcement below that was received today from Attorney General Horne. "There is still a significant amount of fallout from the mortgage crisis, and consumers need to remain vigilant when approached about mortgage modification services," Horne said. "The legal actions that have been filed serve as a reminder that people need to be very careful about dealing only with reputable servicers." The lawsuits are against Phoenix based Making All Homes Affordable, LLC ("MAHA") and its owner Albert Figueroa and Tucson based La Paz Source, LLC, its owners, Defendant Maria Beltran and her husband, Defendant Francisco Ramos and their new operation La Placita Multi Services, LLC owned and operated by Beltran and an individual named Arturo Gomez Leon. The lawsuit against MAHA alleges that MAHA and Defendant Figueroa violated the Consumer Fraud Act by misrepresenting the nature and value of the MAHA program, which MAHA advertises exclusively in Spanish language media and sells in face-to-face meetings in MAHA' office and at several "retail outlets" in Phoenix and Tucson, including at the office of La Placita. The lawsuit alleges that MAHA salespersons tell potential clients that MAHA can help them obtain specific, favorable mortgage modifications, including lower interest rates and principal reductions. After homeowners pay MAHA nearly $1,900, homeowners discover that the MAHA program is nothing more than a do-it-yourself program, allowing them access to various standardized forms and information on MAHA's website; forms and information that are available for free on government websites, such as www.makinghomeaffordable.gov. The lawsuit also alleges that MAHA uses dozens of fake consumer testimonials on its website and that MAHA charges its clients a fake sales tax of 9.3%. The lawsuit against La Paz Source and La Placita alleges that La Paz Source, LLC was an Arizona LLC who advertised as providing foreclosure consultant services. Consumers have reported that La Paz Source, LLC promised to stop the foreclosure process, obtain loan modifications for its consumers and communicate with lenders/servicers on behalf of its clients. As La Paz Source, LLC, the Defendants allegedly claimed they were authorized to conduct such business in Arizona when they were not duly licensed to conduct their business here. Oftentimes, La Paz Source charged very large upfront fees, which were prohibited by state and federal law, and then failed to provide the mortgage loan modification services required to earn those fees. In some cases, the clients lost their homes in the process. In November of 2011, Defendants Beltran and Ramos dissolved La Paz Source, LLC. The same day that the Defendants dissolved La Paz, Beltran and Arturo Gomez Leon started La Placita which also held itself out as being a provider of mortgage loan modification services to Arizona consumers. The Defendants deceptively and willfully target the Spanish-speaking community in Arizona to obtain a benefit through the exploitation of the consumers' Spanish/English language barrier. The Defendants provide contracts written only in English. Many times, the Defendants verbally explain terms of the agreement to consumers, in Spanish, that are in direct contradiction to the written provisions of the contract provided in English. The La Paz and La Placita Defendants now claim to have changed their business model to that of a retail outlet for MAHA. The complaint further alleges: the Defendants continue falsely to guarantee consumers that the Defendants' services will result in foreclosure prevention and a favorable loan modification; the Defendants hold themselves out to the community as experts in mortgage loan modifications and use deceptive means to lure distressed homeowners into parting with hundreds or thousands of dollars, then the Defendants take their money without providing the efficacy, nature, or kind of services for which the consumer bargained; and that the Defendants charge consumers a fee they call a "sales tax," but those monies are not remitted to the Arizona Department of Revenue. Furthermore, the Defendants represent that they are compliant with state and federal laws when they routinely violate the FTC M.A.R.S rule banning upfront fees for mortgage assistance relief services. These cases are being handled by Assistant Attorneys General Cherie Howe and Jeremy Shorbe. The cases are State of Arizona v. Making All Homes Affordable, et al., Maricopa County Superior Court case number CV2012-011000 and State of Arizona v. La Paz Source, LLC et al., Pima County Superior Court number C20124738. If you believe you've been a victim of any type of consumer fraud, please contact the Arizona Attorney General's Office Consumer Information & Complaints Unit at (602) 542-5763 / (520) 628-6504 / (800) 352-8431. It’s always great to see REALTORS® put their money and efforts where their mouths are. Most people in life don’t. Every month we highlight a few of the many My REALTOR® Party success stories across the nation. These and others are cataloged on the Success Stories section of the REALTOR® Action Center. “When Texas REALTORS® vote, Texas REALTORS® win.” That’s the slogan on the Texas Association’s web site -- and it’s exactly what happened in the statewide primaries this year. The 80,000-member Texas Association worked with their 89 local associations to endorse 99 candidates statewide, for offices from the U.S. Senate, to the Texas Railroad Commission to both houses of the Texas legislature, to a couple of seats on the state Supreme Court. They won 70 and have 14 pending in run-offs. The Texas REALTORS® got a big boost from $100,000 in NAR Campaign Services funds, which it used for direct mail, automated phone calls and development of a campaign web site. Murder for fun and profit? Seems unlikely, in an organization with as high ethical standards as NAR. But the 1,400-member Fredericksburg Area Association of REALTORS® (FAAR,) pulled off a fundraising coup by “killing off” the association’s President, Chip Taylor -- at a “Murder Mystery Dinner” at the local country club. With an RPAC Fundraising Grant from NAR, the association hired a company to script. They had a raucous good time and raised more than $4,000 for RPAC, with additional pledges still coming in. Who says Crime Doesn’t Pay? Oregon’s REALTORS® came out in force in May of 2012 to let policymakers know exactly what they think of the possibility of a new real estate transfer tax. In an energetic campaign to get a measure on November’s ballot opposing any new taxes on real estate transactions, the 12,000-member Oregon Association of REALTORS® (OAR) presented nearly 164,000 signatures to the secretary of state’s office. It needed only 116,284. Combining impressive grassroots efforts with funds from OAR and NAR’s Issues Mobilization program, the campaign involved polling, an interactive web site, a signature collection firm and direct mail. The REALTOR® Association of Greater Fort Myers and the Beach, Inc. recently used a $5,000 Housing Opportunity Program grant to produce a video promoting their free Homebuyer Education classes. The 4,000 member association is working with the Lee County Housing Development Corporation to provide the free classes. Course materials are provided by NeighborWorks® America and include topics such as homeownership readiness, money management, the purchase process, and home maintenance. Wondering how your state or local REALTOR® association can kick up your community outreach and/or advocacy efforts? Check out the new and improved REALTOR® Party Association Resource Guide. You could be a success story waiting to happen. Love those blue REALTOR Rally t-shirts? Order more, along with bumper stickers, Vote/Act/Invest pins and balloons. This newsletter replaces the NAR Weekly Report for this week and every second week of the month. My REALTOR Party News will publish next on September 13. If you missed a previous edition check out the My REALTOR® Party News Archive. Now and then we hear from some of you who say you want nothing to do with the REALTOR® Party. You say it doesn’t stand for the issues and candidates you choose to support. We ask you to reconsider. Take a look at some of these success stories and see how the REALTOR® Party unifies us on issues that matter to our industry. Many of your fellow REALTORS® are active citizens in our communities throughout the country -- fighting for candidates, issues, laws and regulations that positively affect not only the real estate community, but the community at large. 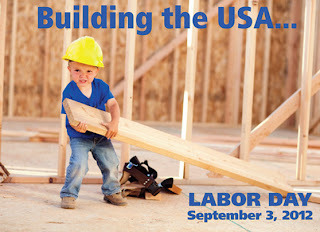 We applaud those who don’t give up, and who continue to work diligently to protect the American Dream. Please take a moment this week to thank your colleagues who give of their time and talents to improve our communities and fight for public policies that help all of us. INFO THAT HITS US WHERE WE LIVE... Last week, the Fed had to admit the stubborn fact that there are "further signs of improvement" in the housing sector, even while they acknowledged that the economy has "decelerated somewhat over the first half of this year." A major website for real estate information reported that the home-vacancy rate is falling in some of the U.S. cities that were hit hardest by the housing crisis, a sign the market is recovering. Their Chief Economist said, "The biggest vacancy declines are in markets where prices are rising." Want more stubborn facts that paint a picture of housing market recovery? The May S&P/Case-Shiller home price index showed home prices UP for the third month in a row in the 20 largest metro areas they track. A spokesperson called the annual changes registered in most of the markets "the best we've seen in at least 18 months." One final fact. In June, data for existing-home sales, new-home sales and housing starts were all better than their year-ago levels. BUSINESS TIP OF THE WEEK... Kick-start your new business effort by digging through old e-mails. Look for contacts you forgot you had and old press releases about businesses you're interested in. JOBS WORK FOR WALL STREET... A strange week for investors, who spent four days in a bad mood, then Friday had their best session in more than a month to see the Dow gain for the fourth week in a row. The good vibes came after July nonfarm payrolls beat expectations, coming in at 163,000, the best number in about five months, although far fewer jobs than experts say we need for a sustained recovery. Normally persnickety Wall Streeters chose to ignore the creep up to an 8.3% unemployment rate. Traders even felt good about the Eurozone, although the European Central Bank met Thursday and essentially did nothing. Our central bank, the beleaguered Fed, also had a meeting and did nothing -- no adding to the money supply (quantitative easing) to try and kick up the economy. This disappointed most investors and some economists. Core PCE Prices came in well within Fed inflation guidelines and Personal Income was also up a tick. ISM Manufacturing was still showing contraction (below 50), yet the week ended with ISM Services reporting slow expansion in the non-manufacturing sector, which provides well over 80% of our jobs. That's a good thing. For the week, the Dow ended UP 0.2%, to 13096; the S&P 500 was UP 0.4%, to 1391; and the Nasdaq was UP 0.3%, to 2968. Bonds gained following the European Central Bank's inaction, then headed south Friday as investors returned to stocks, inspired by that jobs report. The FNMA 3.5% bond we watch ended the week up .03, at $105.26. After hitting record lows the prior week, national average mortgage rates were up slightly, but still well below rates of a year ago. The Mortgage Bankers Association reported refinancing applications at their highest level in more than three years, but purchase loan applications were off slightly. DID YOU KNOW?... Continuing Unemployment Claims represents far less than the total unemployed, excluding workers who've exhausted their benefits or who weren't eligible in the first place. In 2008, only 36% of unemployed workers received benefits. PRODUCTIVITY, EXPORTS, THE DEFICIT... Following last week's monthly jobs melodrama, we look forward to a calmer flow of economic data in the coming five days. Preliminary Q2 Productivity is predicted to be UP 1.5%. This of course means that people are working harder, which is no surprise to those of us who to have jobs. The July Federal Deficit is expected to remain in sadly elevated territory, no surprise there either. The June Trade Balance should show we buy almost $50 billion more from other countries than they buy from us. Forecasting Federal Reserve policy changes in coming months... Last week the Fed maintained it does not expect to raise the Funds Rate until late 2014. Economists don't see anything coming to change that mindset. Note: In the lower chart, a 1% probability of change is a 99% certainty the rate will stay the same. This is a beautifully maintained and cared for home on antelope hills golf course with the best panoramic views. Just walk out your back door and you are located on the south side course with the first, 2nd and 3rd tees and water view. Large Open floor plan, 3rd bedroom used as a den, New 1/4 hardwood floors. Newer 50 year shingle roof, beautiful stone two-sided fireplace to enjoy both in the living and dining rooms. Large Arizona Room to enjoy the views all year round. Great landscaping!